For months, MysteryPeople has been anticipating the release of The Library of America’s Women Crime Writers: Eight Suspense Novels of the 1940s & 50s, edited by celebrated crime fiction expert Sarah Weinman. The collection comes out Tuesday, September 1st, and we’re excited to tell you a bit more about it. With works from both well-known and long-forgotten luminaries, including Margaret Millar, Patricia Highsmith, Vera Caspary and Dorothy B. Hughes, this two-volume set is a crash course in classic works by female suspense writers. As the students head back to college, this tale from Akashic’s Mondays Are Murder series got our attention. Price has a wonderful gift of creating mood and emotion between the lines. “My life seemed great in college. I started on the college hockey team as a freshman, and my roommate was my best friend, Abby. My tuition was waived because my mom worked as a dorm janitor. She had introduced me to my fiancé, who lived in another dorm where she cleaned. My fiancé was good-looking and had money; his dad was a CEO. Mom thought my fiancé was amazing, but I didn’t feel comfortable wearing the expensive jewelry and lingerie he bought me. After a while I wanted to call off the engagement, but didn’t because I didn’t want to deal with Mom’s disappointment. Mom was vegan and ran every day. She was five foot ten, had long, shiny, naturally black hair, and breast implants. The college boys called her “the hot cleaning lady.” The men who went after her were carpenters and electricians, blue-collar types who worked with their hands. She wouldn’t go out with them. In anticipation of Sue Grafton’s appearance here at BookPeople, here’s a review from bookseller Michael Stuart of Grafton’s latest alphabet mystery, X. Grafton comes to BookPeople to speak and sign her latest Monday, August 31st, at 7 PM. Find out more event details. It’s been a while since I checked in with Kinsey Millhone, the narrator of Sue Grafton’s “alphabet mysteries.” I’ve missed a few letters here and there But I’m glad I made the trip back to read Grafton’s latest mystery, simply titled X. Although time moves a little slower in the fictional town of Santa Theresa, CA (it’s still the 1980s) the action doesn’t slow down. Kinsey is juggling several cases involving old secrets and hidden identities. Reed Farrel Coleman’s second book in his continuation of Robert B. Parker’s Jesse Stone series, The Devil Wins, comes out next month. Anticipating his new novel got me thinking about the first two books to introduce and feature Robert B. Parker’s tarnished police chief: Night Passage and Trouble In Paradise. Parker created Stone as a means to stretch his writing muscles in ways he didn’t get to with his popular private eye Spenser. In doing so, he created one of his more complex series characters. Richard Goodfellow’s debut, The Collector Of Secrets, is a fresh thriller that takes us through Japan. The main character Max Travers, an American teaching English, comes into possession of a diary that contains dangerous information. Stuck in the middle of the government, the police, and the Yakuza, Travers goes on the run with the help of his gorgeous girlfriend and a game-designing Shinto priest. We caught up to Mr. Goodfellow to ask him about the book and its setting. 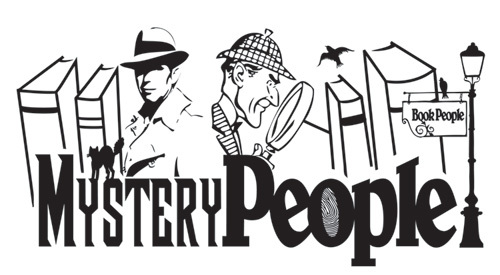 MysteryPeople Scott: Many of the secrets in the book involve the Japanese royal family. Was there any actual history you used as a jumping off point? Richard Goodfellow: Absolutely. One of the key inspirations was a book called Gold Warriors (by Sterling and Peggy Seagrave) which documents the gold and other looted treasure hidden by the Japanese royal family in the Philippines during World War II, and the subsequent secret recovery and use of that fortune for bribery, manipulation and covert operations. This story, posted on Akashic’s Mondays Are Murder site, caught our eye. It deals with a summer vacation gone wrong with a wonderful moody twist ending. She knew she was not his first. The concrete room contained evidence of several that had been here before her: photos, locks of hair, single earrings, fingernails . . .
She had awoken here, groggy, alone, and not sure where she was or why she was here. Then it slowly started coming back. She had parked in the strip mall near the convenience store on her way home from the supper shift at the diner in Everett. She had remembered she needed to pick up milk so she could have cereal and coffee in the morning before she left to meet her two best friends at Sea-Tac Airport to leave on their long-awaited vacation to Australia.